Smooth bore polyurethane super flexible ducting hose. Smooth bore polyurethane super flexible ducting hose. 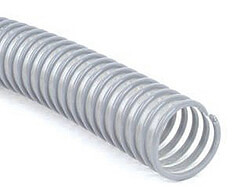 Very strong and flexible with shock resistant hardened PVC spiral. Can be used for abrasive applications. Comes in a 20m coil. Comes in a 10m coil.